It’s almost Halloween! We love this time of year, but it brings some hazards, too. Here are a few things to remember to look out for to make sure everyone has fun and stays safe. 1. Take your mask off. 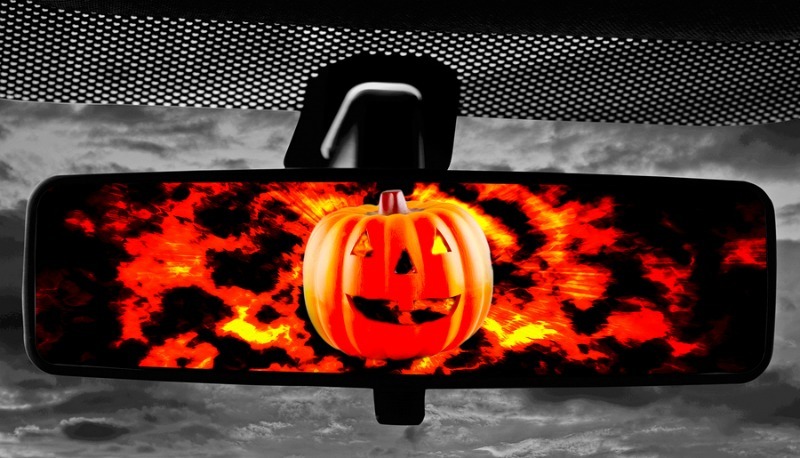 This may sound silly, but we’ve seen people try to drive on Halloween night with their costumes on, including masks. It may be fun to startle people by popping your masked head out of the car window, but driving this way can be dangerous. If you’re driving, don’t wear anything that restricts your field of vision. This is not the night you want your headlights to quit working. The streets are going to be full of people, and you need to be able to see them! If you need any help with your headlights, we’ll be happy to take a look at them. We don’t mean creep along way under the speed limit, but especially if you’re in a residential area, drive slowly and keep a sharp lookout for kids. Some kids may be wearing dark costumes and may run into the street. Be extra careful driving around. This year we may have rain or storms on Halloween night. This will add to all the driving hazards already out there. Keep an eye on the storms, for your driving, and for your trick or treaters!